Australia–a highly preferred and prosperous overseas hotspot in the world–enjoys a wealth of opportunities and offers incredible business and occupational benefits to every migrant. When it comes to migrating to Oz, thankfully, there are multiple visa and immigration routes and ways to plan your move. Based on your particular purpose, intent, eligibility, age, education background, language proficiency, skill, et cetera, the Department of Immigration and Border Protection (DIBP), the organization accountable for running and managing the visa & affairs for the nation, will take a decision on the fate of your visa application. Luckily enough, in the modern times that we live in, there are plenty of highly useful resources and guides to find out which is the most suitable and sure way to live your overseas dreams. If you also wish to get a foot in the door, by obtaining an Australian Immigration Permanent Residency (PR), this article will talk about the different key steps required to do so. Are you rather confused already? Do not worry and no need to press the panic button! Just read the following example to understand this better! Let’s suppose in the case of a nominated skilled occupation, or a closely related skill based profession, an applicant with a total work experience between three and five years will receive 5 points, with a work experience between five and eight years will get 10 points, and a person with a work experience between eight and ten years will get 15 points. Additionally, if the candidate has an educational degree or certification from an Australian educational institution, he will get 20 points, at least a bachelor’s degree will get 15 points, not less than a diploma or an award of recognized standard will get 10 points. Now, let’s look at the various criteria on which your application will be judged! Summary: Australia enjoys and welcomes a plethora of immigrants from around the world every year due to its healthy economy and lucrative career opportunities. 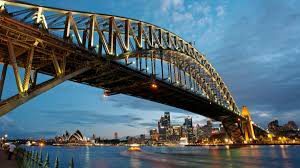 Thus, if you dream of obtaining an Australian Immigration Permanent Residency in future, this article will get you started today! Previous Post: Planning Immigration to Australia from India? Take a pick from these Top Cities! Next Post: Get Your Ticket to Australia Citizenship Via Investment!